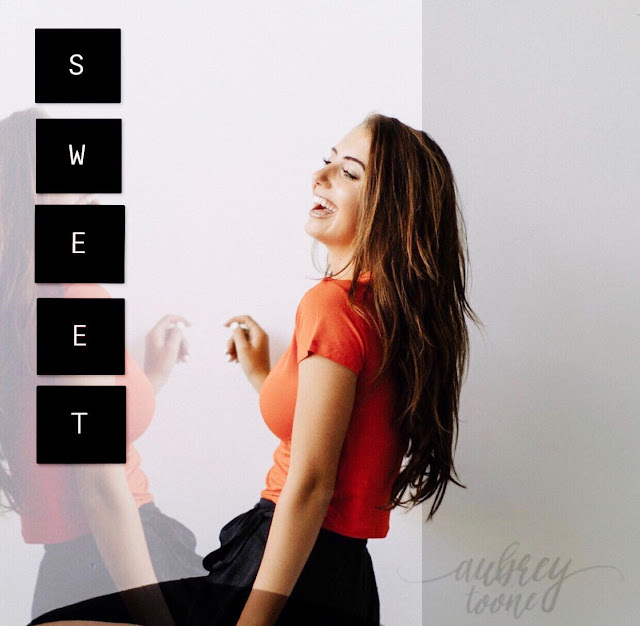 Home / Aubrey Toone / brand new / brand new artist / música / Aubrey Toone Unveils New Single "Sweet"
Aubrey Toone Unveils New Single "Sweet"
Philadelphia-based singer and songwriter Aubrey Toone has just unveiled her brand new single Sweet, an upbeat piece of pop music. I am a fan of her smooth and sweet vocals that give the track an ethereal-like atmosphere that is backed by gorgeous synth lines and a punchy beat. Listening to this song just puts a smile on my face and makes me feel good! Sweet is a love song that captures the highs and lows that come from a loving relationship and Aubrey perfectly translated that into a catchy piece of electro pop music which you can listen to below! This song is an epic love story. Upbeat, sad, exciting, and chaotic. It describes the highs and lows that love gives. It's an exploration of all relationships and how they mold us. It's a song that will hit the heart and core of all who will listen. This song has walked down a thousand different paths: the one full of regret, the lost, the broken, the found, the dreamer, the one who still wants to be a kid, and the one who has never felt so alive. It is raw, real, and deserves to be heard. Aubrey has as musical influences artists such as Lights, Halsey, Taylor Swift, Billy Joel, and Ariana Grande, and you can clearly hear that influence in this song.